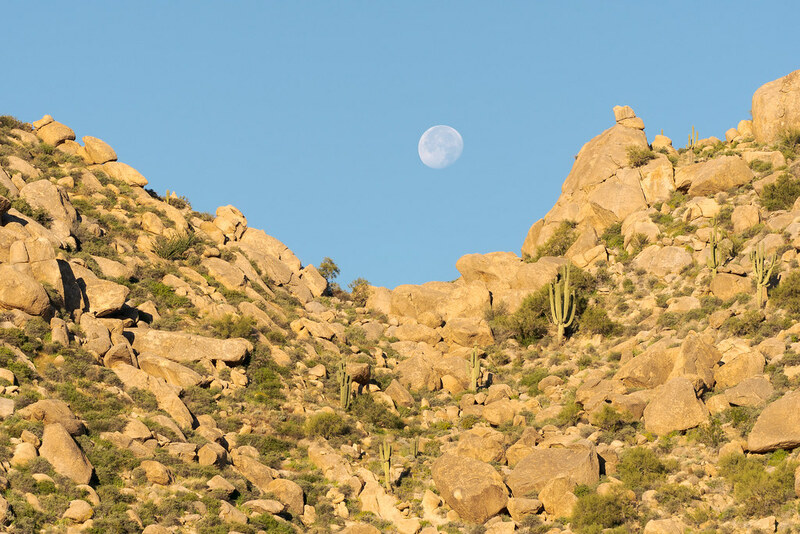 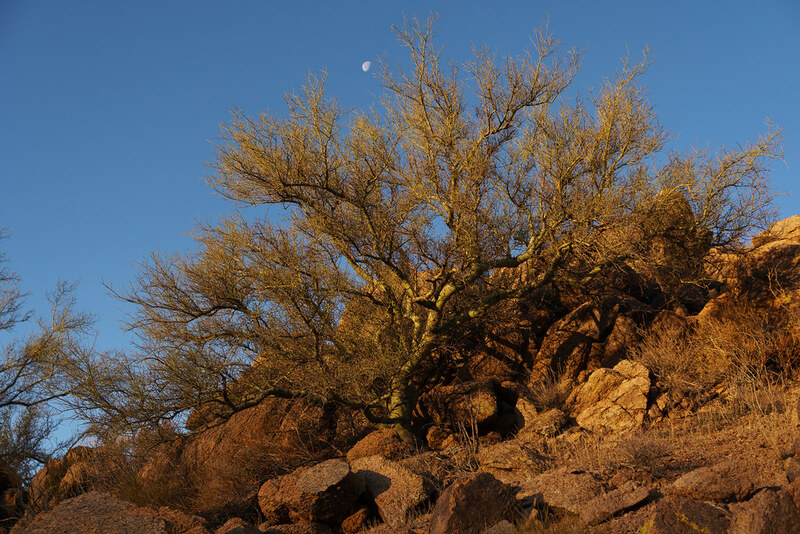 With the day safely in the hands of the sun, the moon prepares to dip below the hills of the Sonoran Desert. 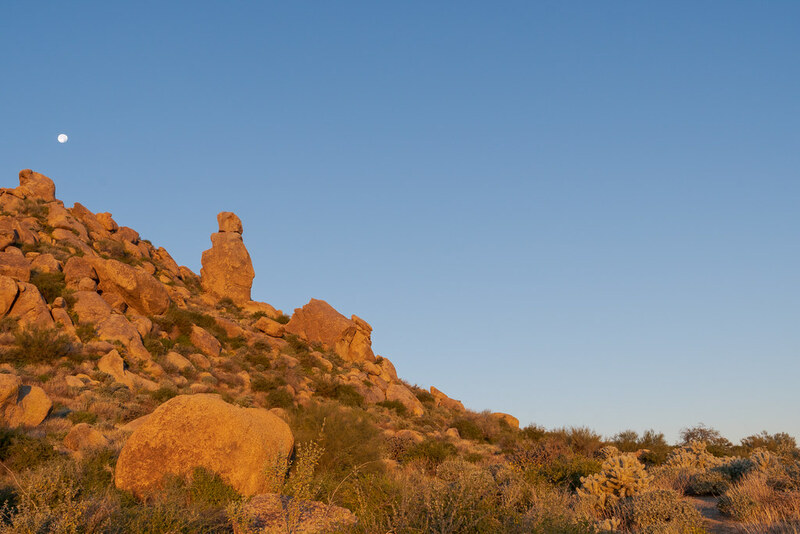 It’s been a busy week since we moved to Arizona but now it was time for some fun. 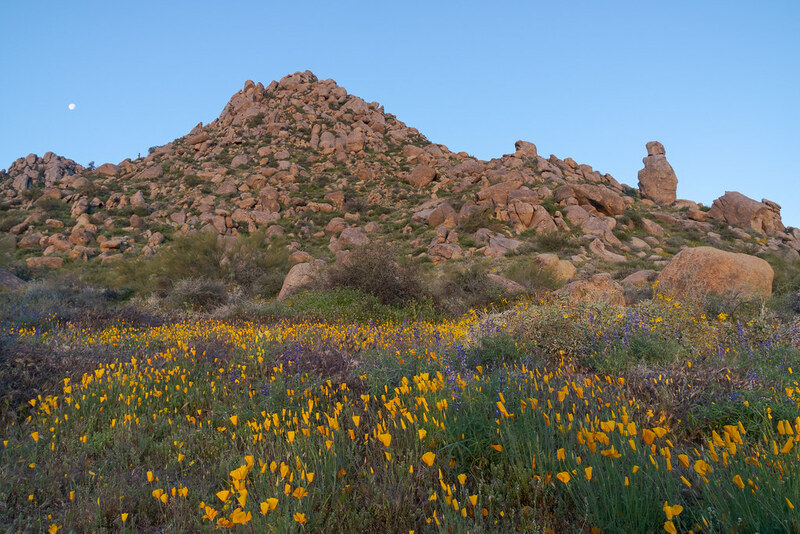 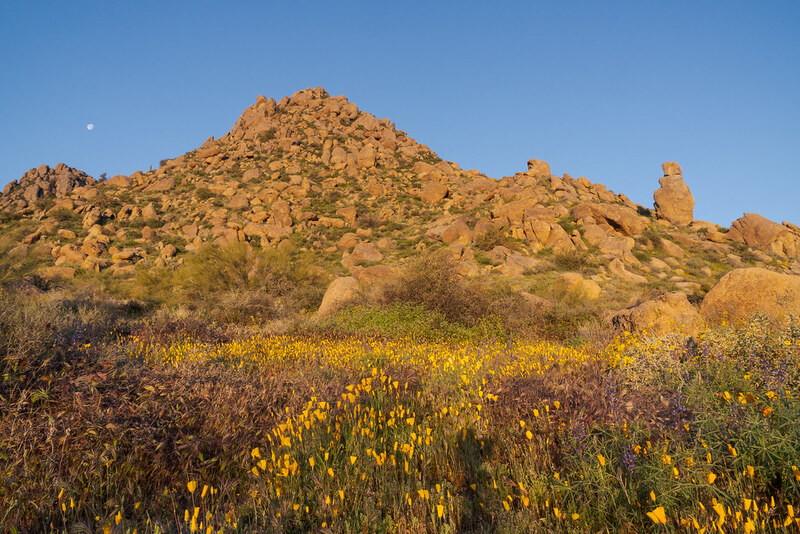 I got up at 5 a.m. this morning (that wasn’t fun) and headed to Pinnacle Peak Park, the park I visited the day after I interviewed in February but now with time to hike the entire trail instead of just sampling hiking in the desert. 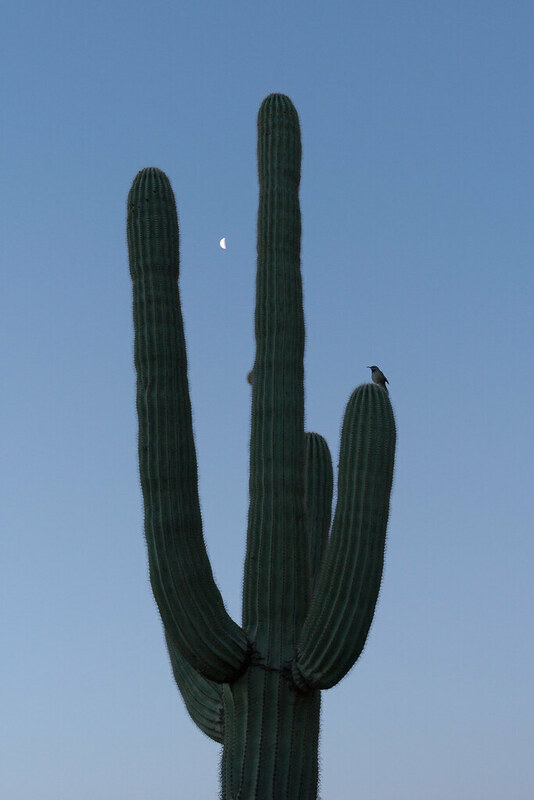 As soon as I hit the trail, before the sun even rose above the horizon, I met this cactus wren perched on a large saguaro with the moon in the background, my first new wildlife species in our new home. 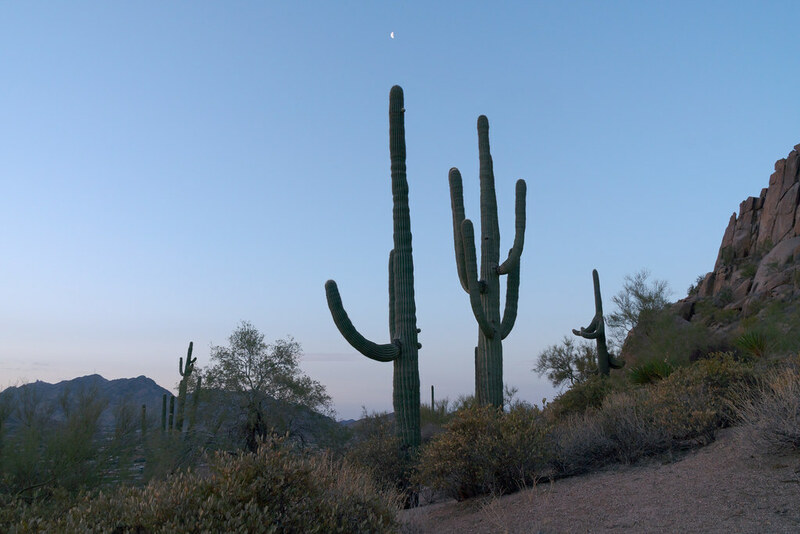 What a beautiful welcome to Arizona.